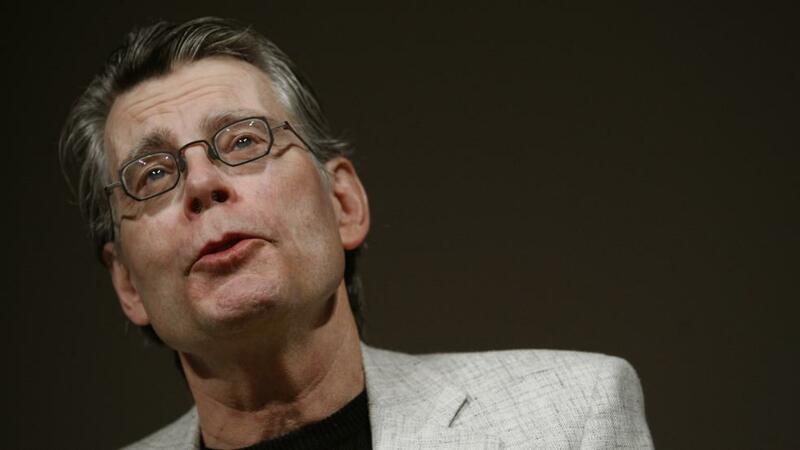 Stephen King has been a constant figure in pop culture for the better part of five decades. From his 1976 debut novel, Carrie, and its subsequent classic horror film through the recent Hulu time-travel drama 11/22/63, King has been a seemingly constant presence at the bookstand, in the multiplex and on television. The period from 1983 to 2001 saw multiple adaptations of his work appear on screen every single year. That pace has since slowed — the past decade has seen only five films, including a largely unnecessary remake of Carrie — but two new adaptations are now approaching theatrical release, and even if you can’t quite call it a comeback, the author is clearly enjoying another cultural moment. As the reins of entertainment industry production have shifted from the boomers who enjoyed King’s work as trashy airport reads to the Xers and older Millennials who snuck those novels out of their parent’s bookshelves, the author’s work and influence (lookin’ at you, Stranger Things) are everywhere, or will be soon. This time, though, King’s popular presence comes with a healthy dose of the critical respect that had eluded the author for much of his early career. The sentiment surrounding the two new movies is less, “Meh, another Stephen King movie” and more legitimate excitement and curiosity about a how a new generation will handle these works, striped of ‘80s horror conventions and literary snobbery. It’s worth asking why it took so long for King to get such respect in the first place. Audiences sure love his work. He is No. 20 on the list of bestselling authors of all time, generating over $350 million in sales. (Agatha Christie is No. 1, if you’re curious). No other living author has more adaptations on the AFI 100 Greatest Films list. Movies based on his works have pulled in over a billion dollars in box office. Chances are, you know what King looks like, too…and how many authors can you say that about? That commercial success was actually part of the problem, at least in the eyes of some critics — along with the facts that King is still alive (and long may that continue; he will be 70 in September) and has always been ridiculously prolific. And when I say ridiculously prolific, I mean ridiculously, absurdly prolific. So far, King has written 56 published novels, 11 short story collections and five works of nonfiction. This bibliography is in addition to various screenplays, television episodes and magazine articles. He even wrote a musical with John Mellencamp and T-Bone Burnett (no, really). His IMDB page has 232 writer credits. To be fair, that number is inflated a bit by his “Dollar Baby” program, in which he allowed film students to adapt one of his short stories for the low price of $1. The multiple films, in particular, have undermined King’s critical legacy as an author. While some of them are bona fide classics of cinema, many of them are very, very bad. Even if you remove the student films, the lackluster slogs (Christine, Silver Bullet) and out-and-out dumpster fires (The Lawnmower Man or Maximum Overdrive, which King himself famously directed) outweigh the quality. King was, for many years, considered a talented conveyor of entertaining crap. The simple passage of time has allowed the gems in King’s oeuvre to stand out, while the dreck recedes into the distance. What endures from his filmography are several masterpieces of horror (the original Carrie and The Shinning, regardless of the author’s own opinion of it), suspense (Misery), perhaps the greatest nostalgia film of all time (Stand By Me) and one of the most beloved films of all time in any genre (The Shawshank Redemption — though, seriously, IMDBers, it’s not better than The Godfather). Those last two King films illustrate why, over time, he has become such a cultural touchstone to those who read him as teens. Though he is often caricatured as purveyor of nightmares, those who’ve actually read his novels will recognize that far more time is spent on the depiction of small town life, the comradery of (usually male) pre-teens and the efforts to repair broken families than on vampires, ghosts and killer dogs. Viewers who saw King reflected in Stranger Things were likely responding to the relationships between its fifth-grade protagonists more than the creepiness of The Upside Down. In fact, while King had two television minseries in the past two years (11/22/63 and Under the Dome), it is the Netflix series and FX’s Legion (in which the main character frequently flashes back to a King-esque childhood, equal parts wonder and dread), where his name is most often cited. Arguably, King has become as big of a touchstone for modern storytelling as Steven Spielberg (the two men are the same age. It also helps that the author has emerged as a bit of an elder statesmen in recent years. Following a near fatal and life-changing auto accident in 1999 (King was a pedestrian), he reemerged a changed man. He openly discussed his earlier challenges with drug and alcohol addiction. He became actively involved in a variety of Maine charities, and national ones. He has been an outspoken proponent of liberal politics, and a shockingly engaging and entertaining figure on Twitter. King’s legacy may never be appropriately appreciated in his lifetime, but it’s encouraging to see the re-evaluation is already under way.